How do you make pumpkin bread even better? 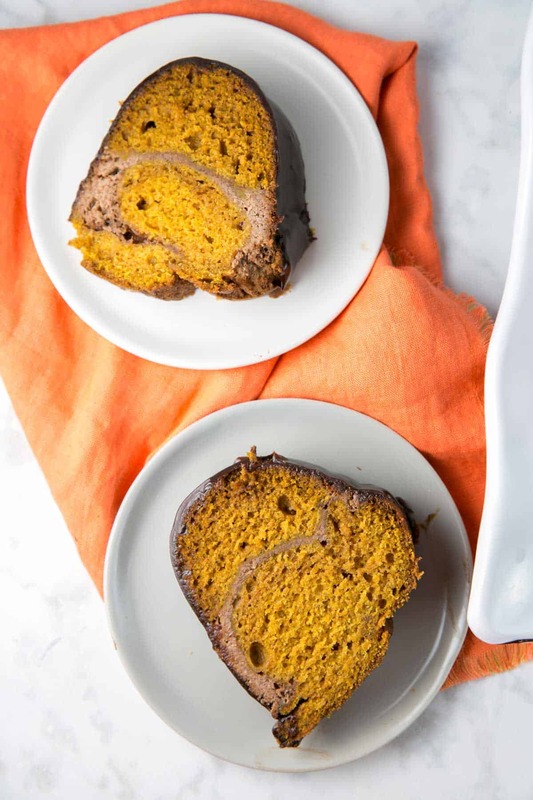 By turning in into a cinnamon cream cheese swirled, chocolate ganache covered, pumpkin bundt cake! Perfect for brunch or dessert, this sky-high bundt cake is just waiting for all your fall celebrations. You had to know this was coming. A year long series on bundt cakes. October. 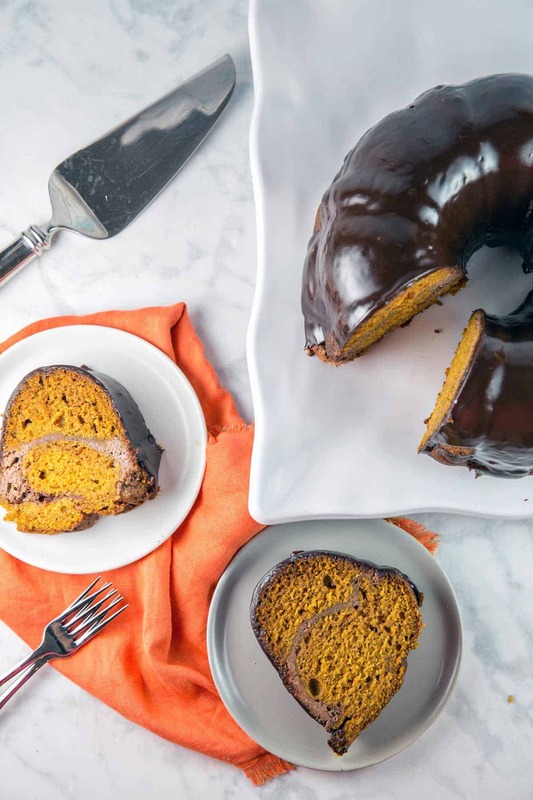 A pumpkin bundt cake is the only obvious choice, right?! 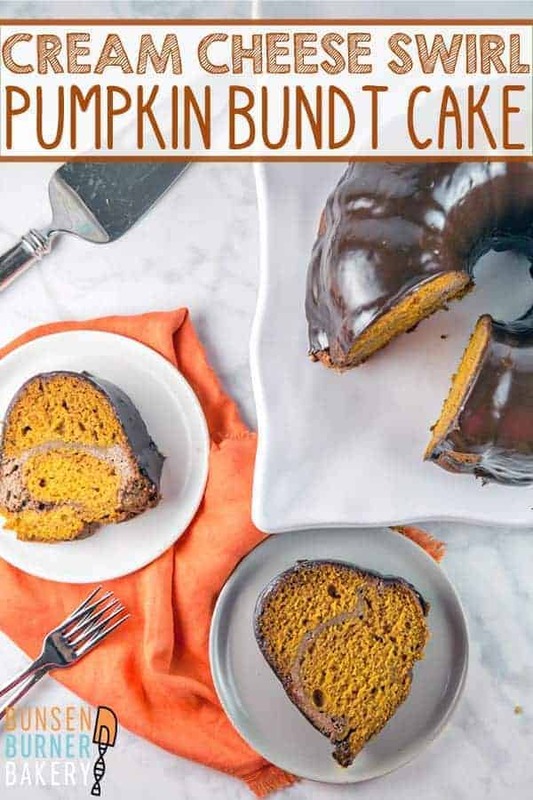 In a sea of pumpkin bread recipes (including my favorite chocolate chip pumpkin bread and nutella swirled pumpkin bread), how do we make a pumpkin bundt cake stand out? We want something a little different and unique compared to the dime-a-dozen pumpkin bread recipes. We make it stand out by adding an extra cinnamon-y cream cheese swirl and covering it with a layer of chocolate ganache, of course! 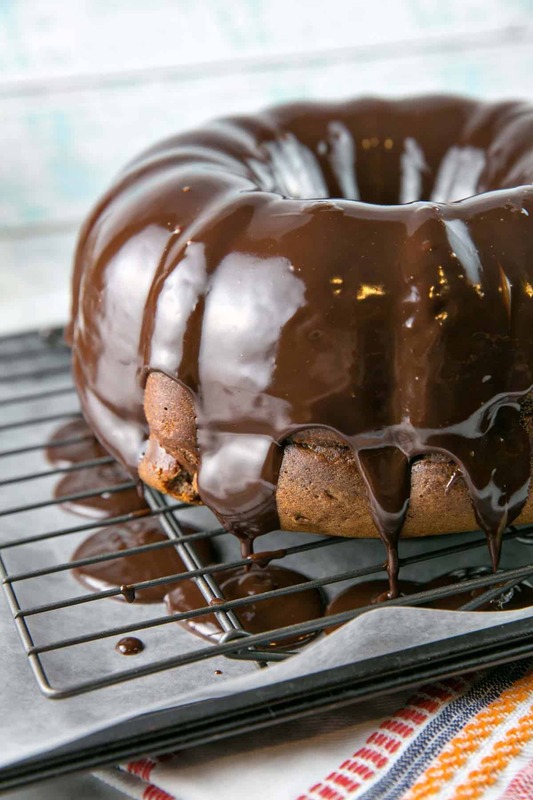 Plus, the bundt cake makes the outsides all nice and crispy and the inside is soft and extra moist and… well… you’ll just have to try it yourself! 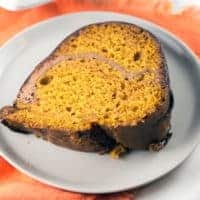 This cream cheese swirl pumpkin bundt cake is basically all the best flavors of fall, rolled into one. I am all about minimizing dishes in the kitchen, so one of my favorite things about this cake is reusing the mixing bowl. Beat together the cream cheese swirl ingredients, transfer to another bowl, and then mix the batter for the cake. 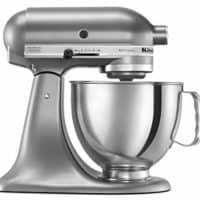 If you have a stand mixer with one bowl, no need to wash in between. Winner! 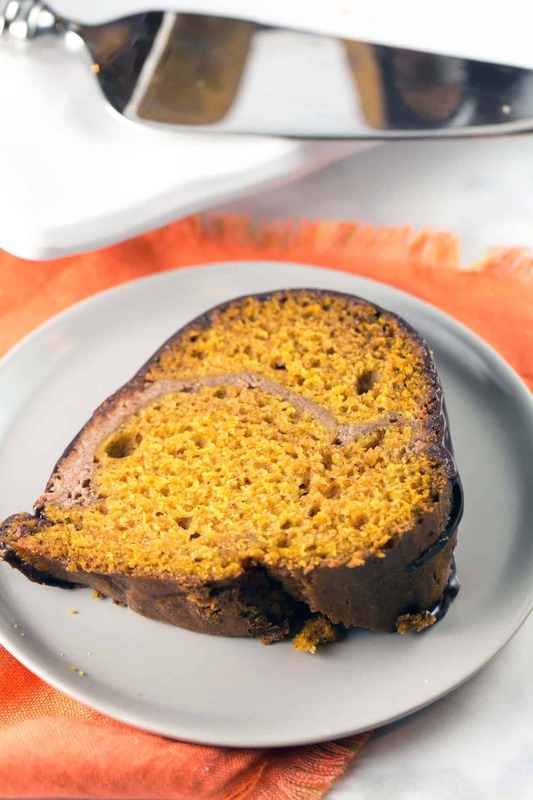 The cake itself is simple: a standard oil-based cake, with pumpkin added into the batter. You could whisk this by hand, but I always like to use a mixer (stand or hand mixer) to ensure the pumpkin is fully incorporated really well. 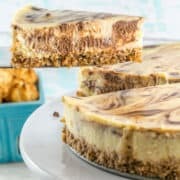 To get the swirl to run through the middle of the cake, pour in half the batter, spread the cheesecake layer across the batter with a knife, and scoop in the rest of the batter. Long-time readers know I’m not a cream cheese dessert kind of a person. No cheesecake, no cream cheese frosting, no cream cheese swirls. 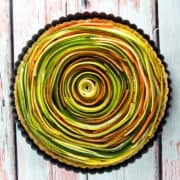 I still wanted to enjoy a slice of this cake, however, so I kept the cream cheese swirl as a slight accent (i.e., easy to eat around). If you’re all about the cream cheese, though, feel free to double the swirl. And then invite my husband over for a slice, because his complaint about my cheesecake layer and cream cheese swirl desserts is always exactly the same: that the layer isn’t big enough. Do you refrigerate cream cheese swirl cake? I get so many questions about refrigerating desserts which include cream cheese. To answer this, we need a little of my favorite subject… kitchen chemistry! Sugar acts as a preservative. Sugar is hygroscopic, meaning it absorbs water. 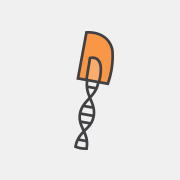 It can draw the water out of dairy , thus reducing the amount of water available for growth of bacteria. 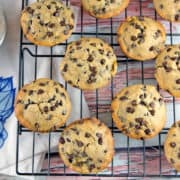 Butter, cream, and cream cheese are stabilized by all the sugar, and thus safe to store at room temperature for up to three days if the sugar content is sufficient. Cream cheese is roughly 33% fat and up to 55% water. You’d need (roughly) one pound (4 cups) of sugar half-pound (8 ounces) of cream cheese to stabilize the cheesecake layer enough to let it sit out at room temperature. Of course, these are baked, which does dry out some excess moisture. But there is still not nearly enough sugar (1/2 cup) to account for all the liquid in the cream cheese swirl (10 ounces) to safely store these without refrigeration. So the answer then is: yes! This cream cheese swirl pumpkin bundt cake should be stored in the refrigerator. 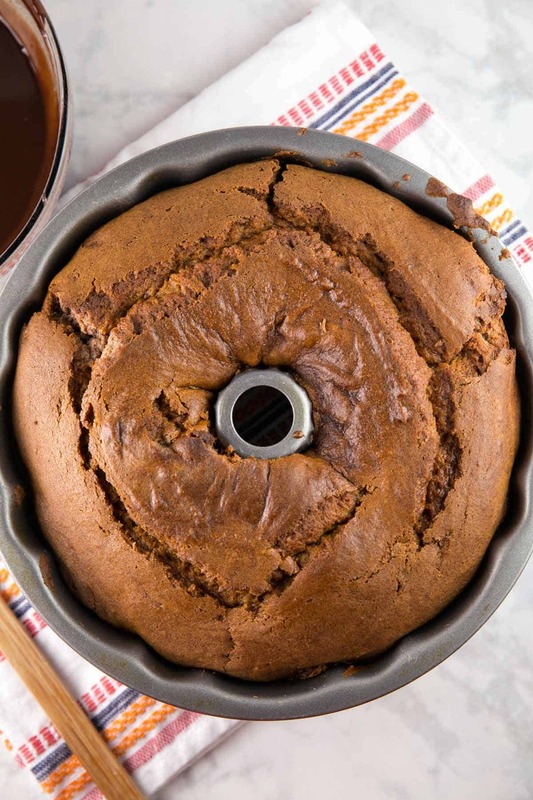 Worried that your bundt cake will fall apart when you try to take it out of the pan? Or even worse, not come out at all? 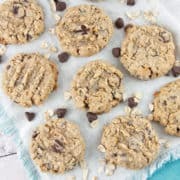 Do you sometimes have issues with doming, where the batter puffs up too far in the middle of the pan instead of having a flat, level bottom? Fret not, and click here for all my essential bundt baking tips. You’ll be a bundt cake master in no time at all. A word of warning: this makes a really big bundt cake. As you can see from the photos, this bundt cake is quite a bit taller than some of the others in my series. 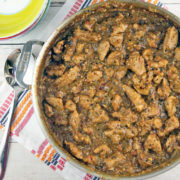 You’ll want to make sure you use at least a 12 cup capacity pan to prevent spillover. And you’ll want to make sure you have at least 15 friends with whom to share it. 😉 I brought this cake on our annual college friends beach week trip, and we’ve been slivering away at it all week. It’s been met with rave reviews — including literal plate licking from the 3 and under crowd. All the adults have enjoyed it, but you really know you have a winner when the 3 year old asks for a slice of your cake every night, despite a sea of other cookies, brownies, and candy! How do you make pumpkin bread even better? 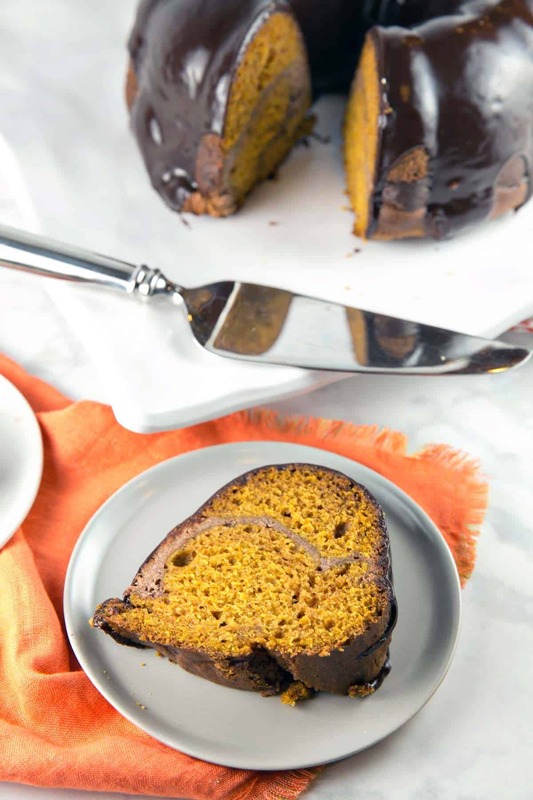 By turning in into a cinnamon cream cheese swirled, chocolate ganache covered, pumpkin bundt cake! Preheat the oven to 350 °F. 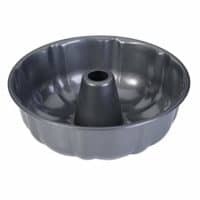 Grease a 12-cup capacity bundt pan. To make the cream cheese swirl, combine the cream cheese, sugar, and egg in the bowl of an electric mixer. Beat until well combined and cream cheese is soft and fluffy. Slowly add in the heavy cream, followed by the vanilla extract and cinnamon. Scrape the cream cheese mixture out of the bowl and set aside; wipe the bowl clean with a paper towel. Add the sugar, oil, eggs, pumpkin puree, and vanilla extract to the wiped-clean bowl of the mixer. 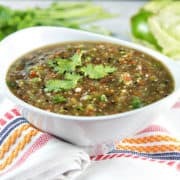 Beat on low speed for 2 to 3 minutes, until ingredients are well combined. Slowly add in the dry ingredients, continuing to mix on low until fully incorporated and no streaks of flour remain. Pour half the cake batter into the prepared bundt pan, smoothing the top with a spatula. Drop spoonfuls of the cream cheese mixture on top of the batter, spreading into an even layer with a knife. Top with the rest of the cake batter. 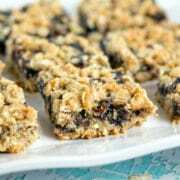 Bake for 60-70 minutes, or until a tester inserted into the center of the cake comes out with a few moist crumbs. Cool in the bundt pan for 15 minutes, then invert onto a wire rack and cool completely. Once cake is cooled, make the chocolate ganache. Combine the dark chocolate, heavy cream, and corn syrup in a medium sized microwaveable bowl. Microwave for 60 seconds on 50% power, stirring well. Continue to microwave in 30 second increments on 50% power, until chocolate is fully melted and smooth. Cool ganache mixture for 20 minutes until thicker, then pour overtop of the cooled bundt cake. Let the cake set in the refrigerator for 30 minutes before slicing. Cake can be stored at room temperature for one day, refrigerated for up to a week, or frozen for 3 months. Cake can be stored at room temperature for one day, refrigerated for up to a week, or frozen for 3 months. This is a really beautiful cake. Love the pumpkin and the chocolate ganache.